What is your favorite SRK-film Ringtone??? 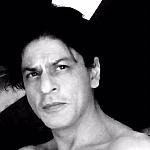 I am looking for a good SRK-film ringtone, that I could use for my husband. What ringtones do you use? My regular ringtone for years now has been the the Don theme. From time to time I have switched to something different, the whistle from DTPH or KKHH, or the theme from CDI, but I always come back to Don. Very interesting! I'll think about it! My caller tune is Kal Ho Naa Ho heartbeat, kept it from a very long time.. I use the Samsung default ringtone though! My ringtone is Tere Naina from MNIK. According to me for your husband Veer zaara tune of Tere liye .....in Piano version will be best. Actually I was looking for something with a little bit more beat, though all the suggestions are very nice! I like something a bit shrill for a ringtone, something with high notes is easier to hear from a distance. I have Chaiyya Chaiyya as one of mine and my mom has the Hum Tumhare Hain Sanam Theme as hers and she really likes it. I used to have the same ringtone that Don used in the first film so i could pretend i was him LOL and then for a while i had Chammak Chalo. cool choice, the background music is brilliant. I used to use the beginning music from Tumse Milke for mine. Worked well. Another question: where do you buy your ringtones? iTunes have not a wide bw ringtone selection! I make my own ringtones. There is a program I've been using for years, makeyourownringtone.com. It has the option for m4r format which is what is required for an iPhone. Then I spend hours mucking around loading it,(Apple can be a real pain) but eventually it works. I have just made one for the Jabra Fan chorus. I like the idea of proclaiming my fan-hood every time the phone rings. Now I'll wait and see what it sounds like in use. my general one has been (for more years than I can remember) Tumse Milke from Main Hoon Na, and the special ringtone when my husband calls is Chaiyya Chaiya (husband's fave SRK song) but his general ringtone is DTPH!